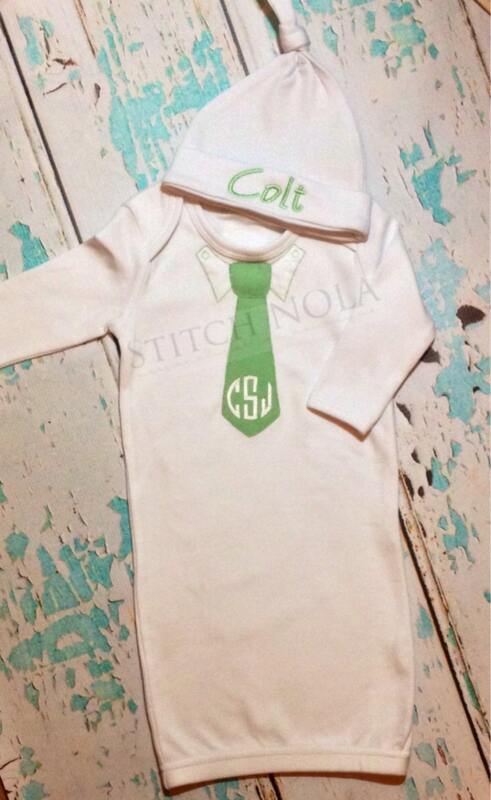 This is the perfect going home from the hospital outfit for your baby boy. 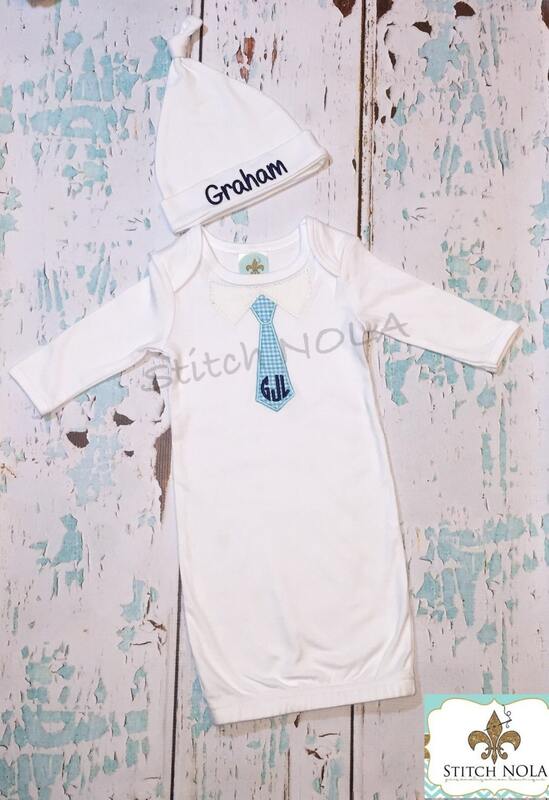 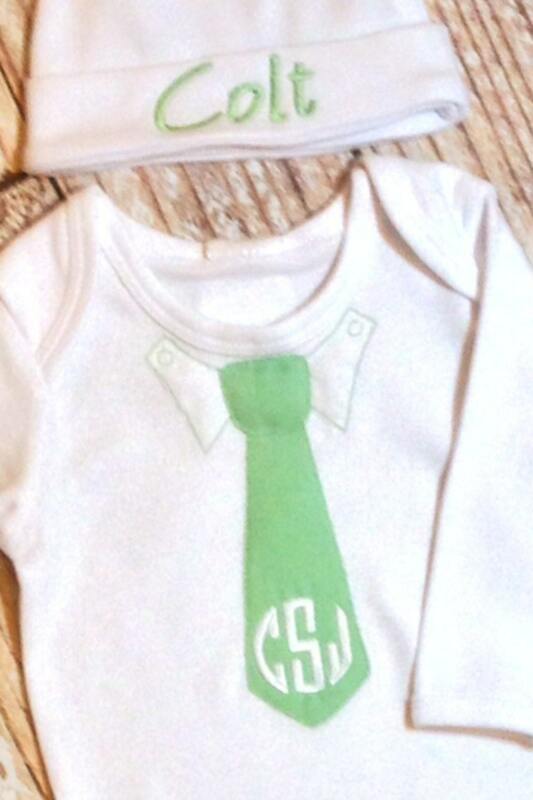 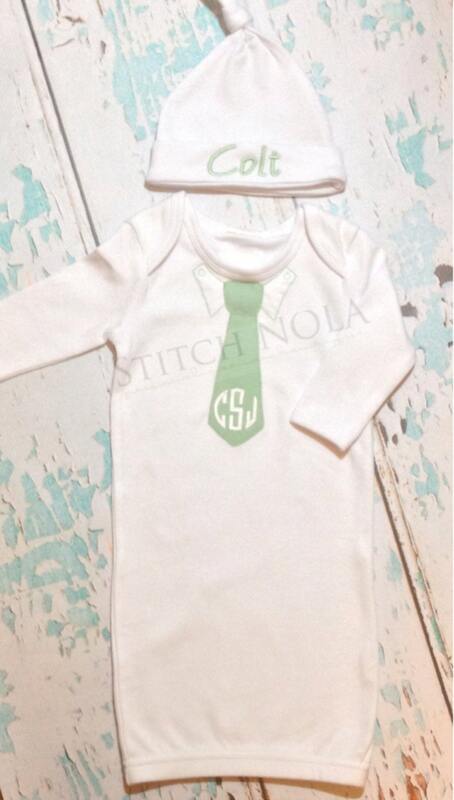 It includes a 0 to 3 month gown with tie appliqué and a matching infant cap! 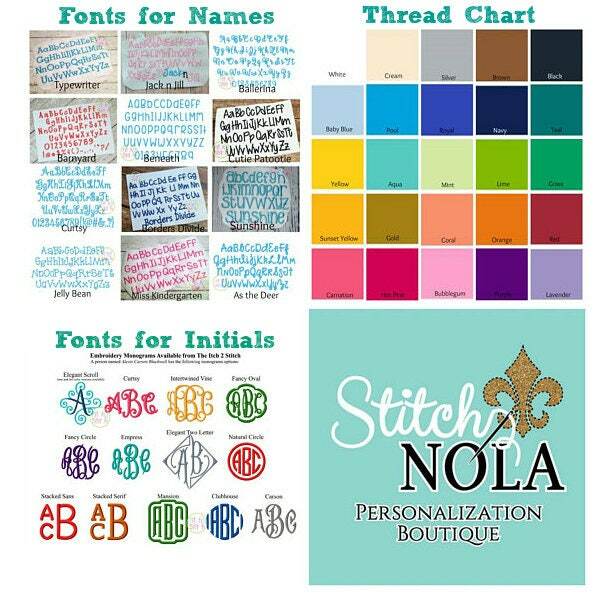 Tie fabric and fonts are customizable to suit you.